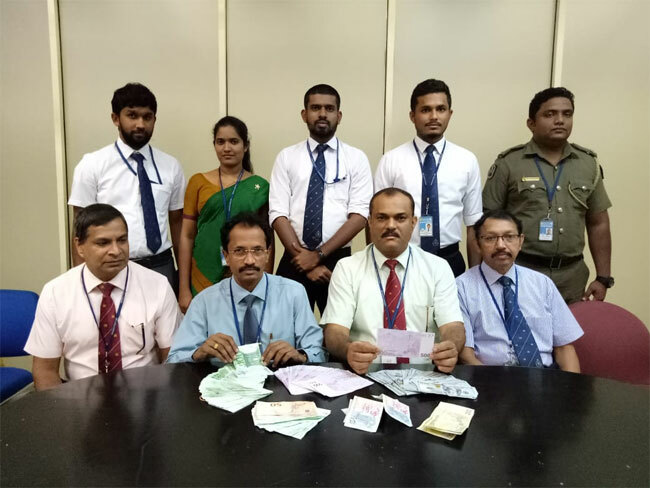 A Sri Lankan passenger was detained at the Bandaranaike International Airport (BIA) in Katunayake while attempting to smuggle foreign currency worth nearly Rs 11 million out of the country, Sri Lankan Customs said. The 58-year-old from Negombo was preparing to board a flight to Singapore at 3.30 a.m. this morning (09) when he was apprehended by the officers of Central Intelligence Directorate of Sri Lanka Customs at the airport’s departure lounge. 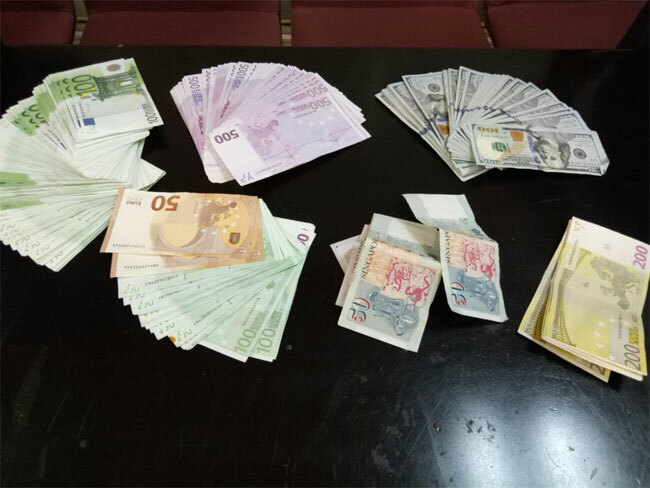 He was reportedly attempting to smuggle out foreign currency notes including 50,000 Euros, 5,000 US Dollars and 149 Singapore Dollars which are valued at Rs 10,917,496. The currency notes were wrapped in newspapers and concealed inside his luggage. The stock of foreign currency was declared forfeit and a penalty of Rs 100,000 was imposed on the suspect after the formal customs inquiry, the Sri Lanka Customs Spokesman said.